No. 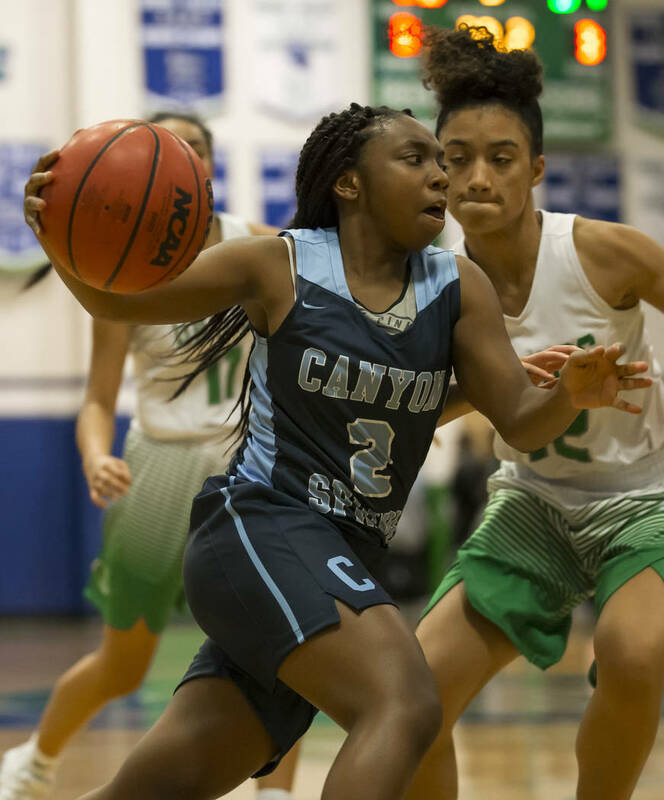 4 Canyon Springs smothered Green Valley in the first eight minutes to secure a 22-6 lead and remained unbeaten with a 65-44 road victory. 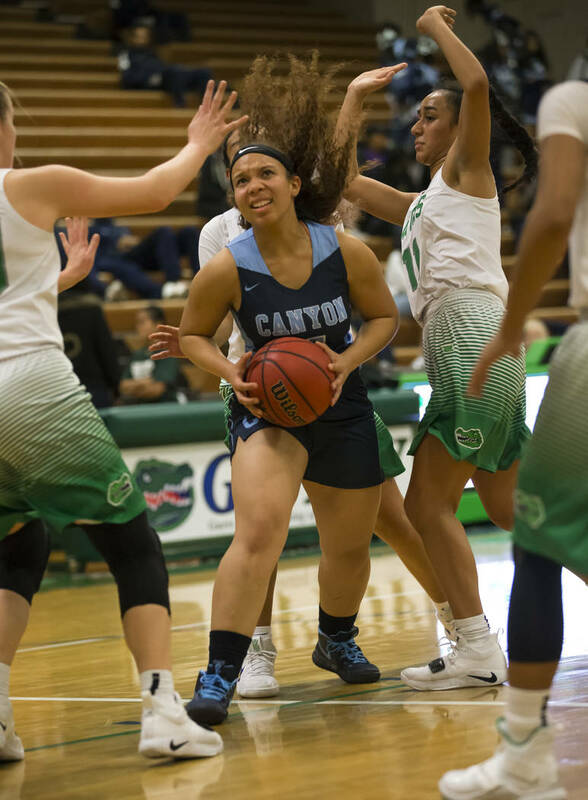 Canyon Springs junior wing Jeanette Fine says the Pioneers begin every practice with a quarter’s worth of defensive slides. 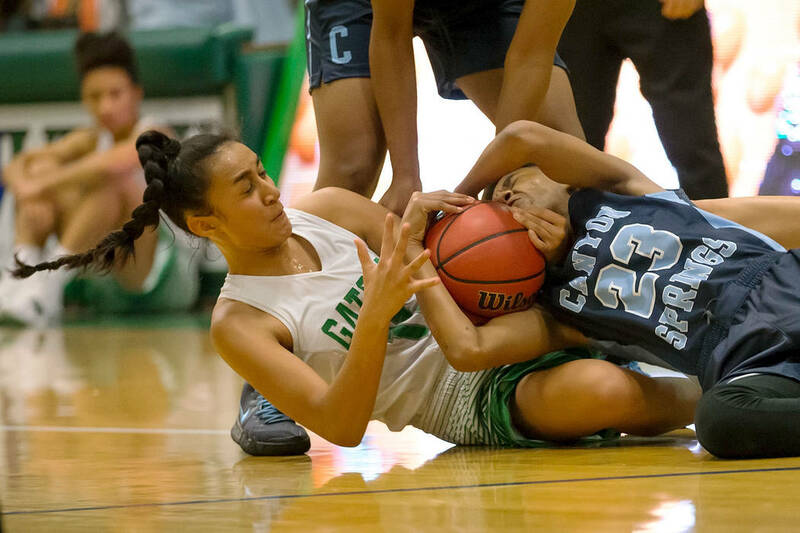 They came in handy in the first quarter Friday. No. 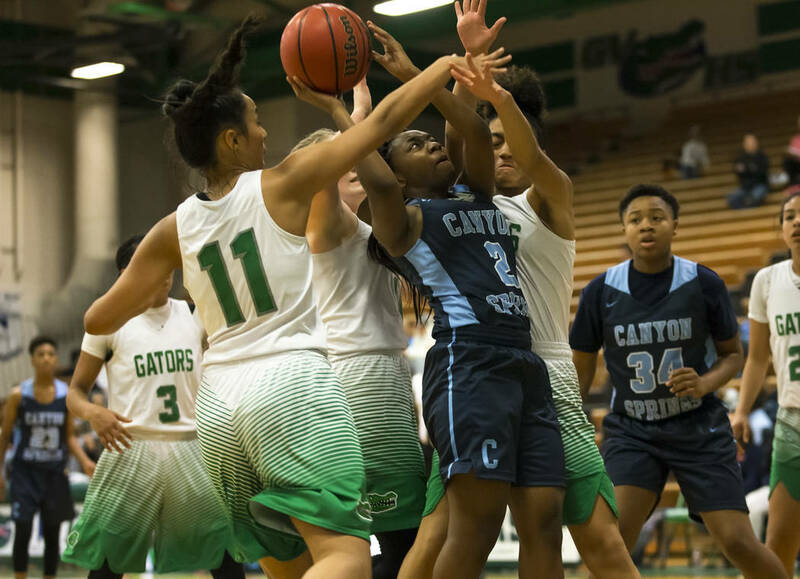 4 Canyon Springs smothered Green Valley in the first eight minutes to secure a 22-6 lead and remained unbeaten with a 65-44 road victory. 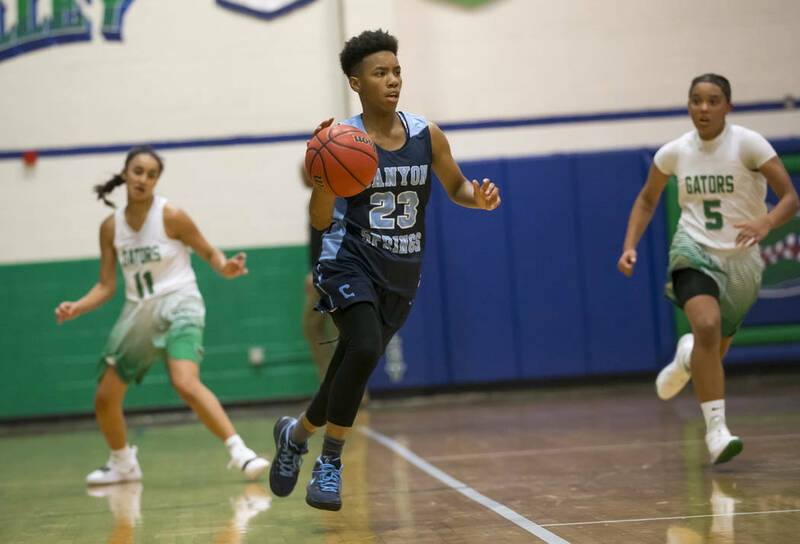 Fine finished with 14 points, 10 rebounds and four steals, and teammate Kayla Johnson scored a game-high 18 points. Fine and Johnson were contributors last season for the Pioneers (8-0), who finished 17-7 in 2017-18 and have won at least 15 games in nine consecutive seasons. 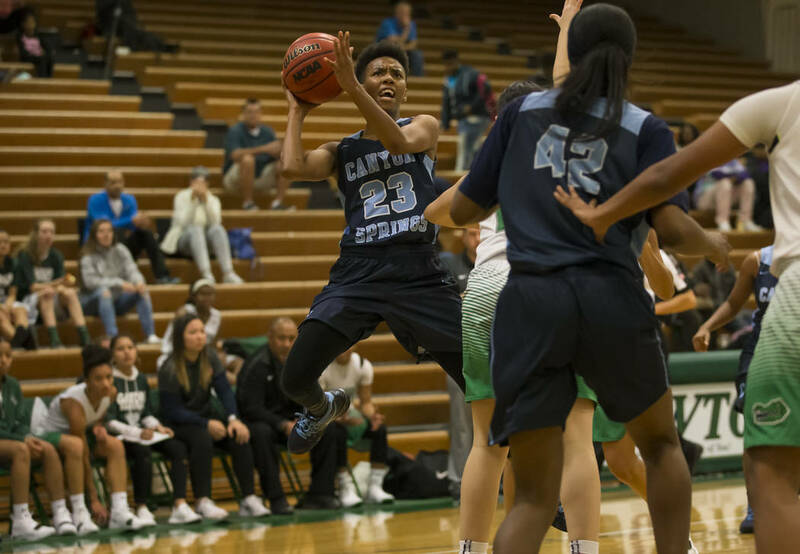 Canyon Springs lost nine seniors to graduation, but Pioneers coach Christopher Walker said he’s been pleased with how the new players have meshed with the returning players. 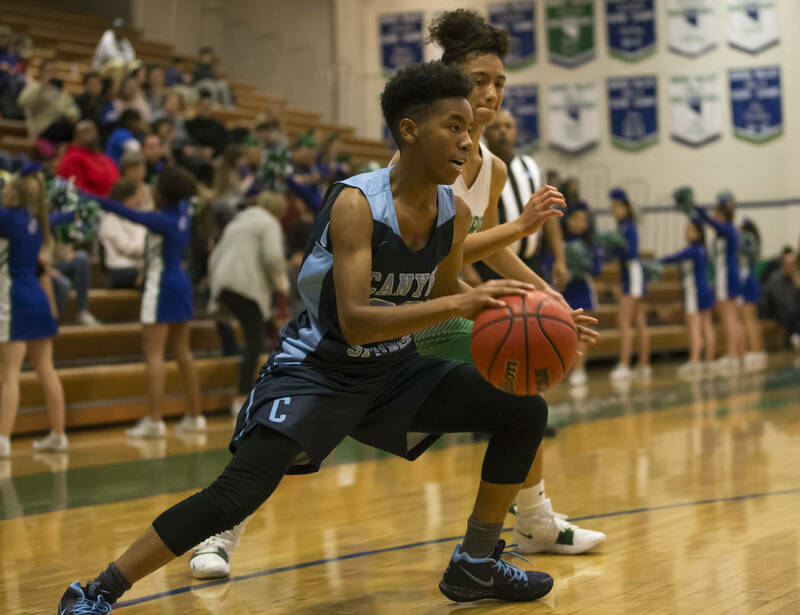 He said he emphasizes communication, especially on defense. 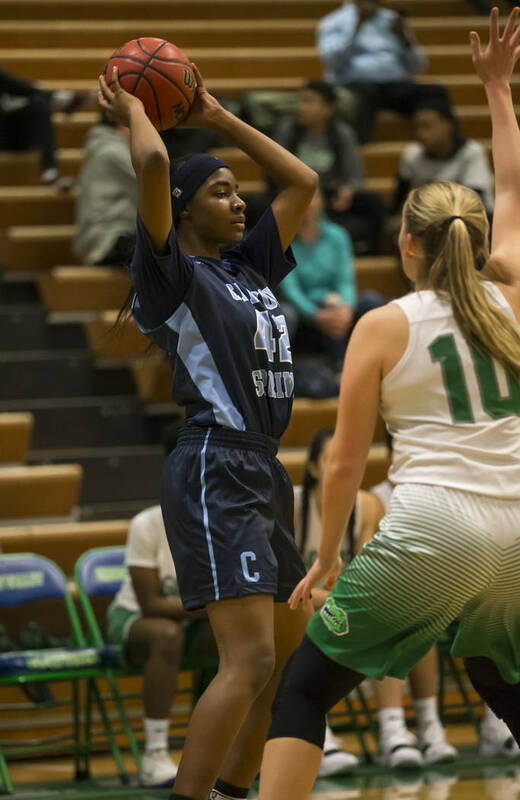 Fine helps define that culture with her unselfish two-way play, and she scored 11 points in the first half while anchoring a stingy defensive effort. 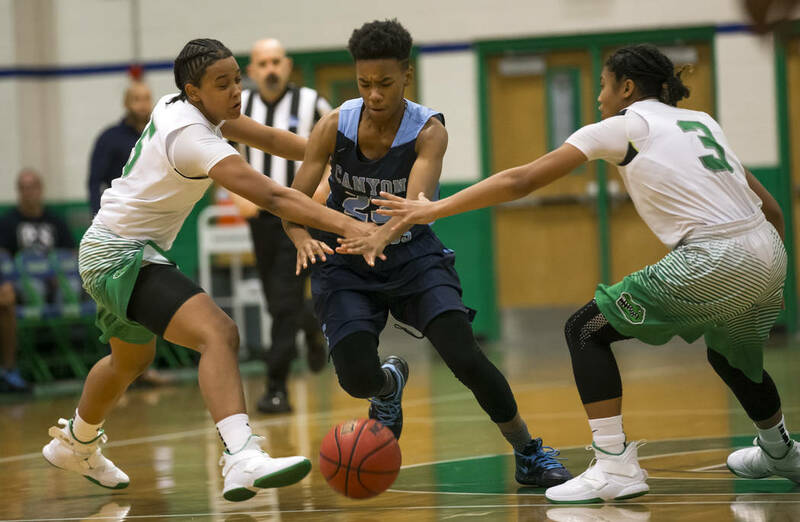 Johnson came alive in the second half, scoring 12 as the Pioneers pulled away. 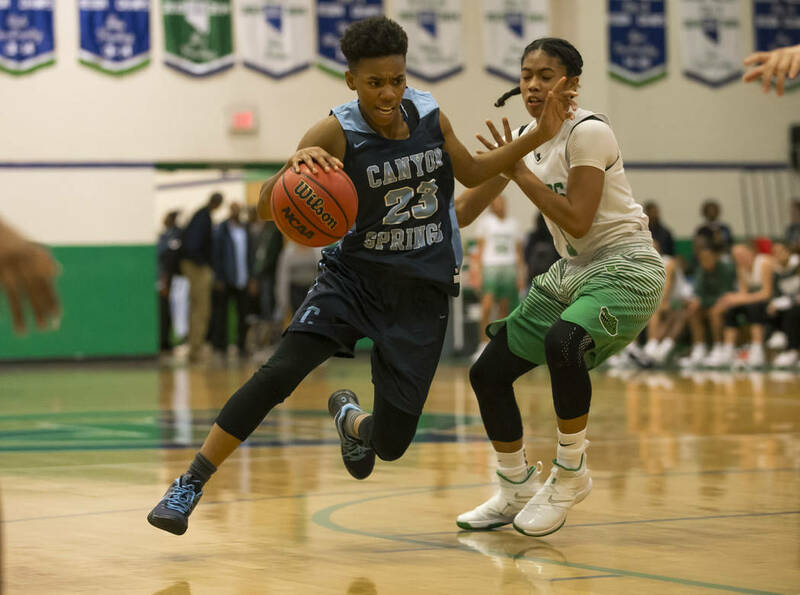 Canyon Springs has won 14 of its past 15 games dating to last season. 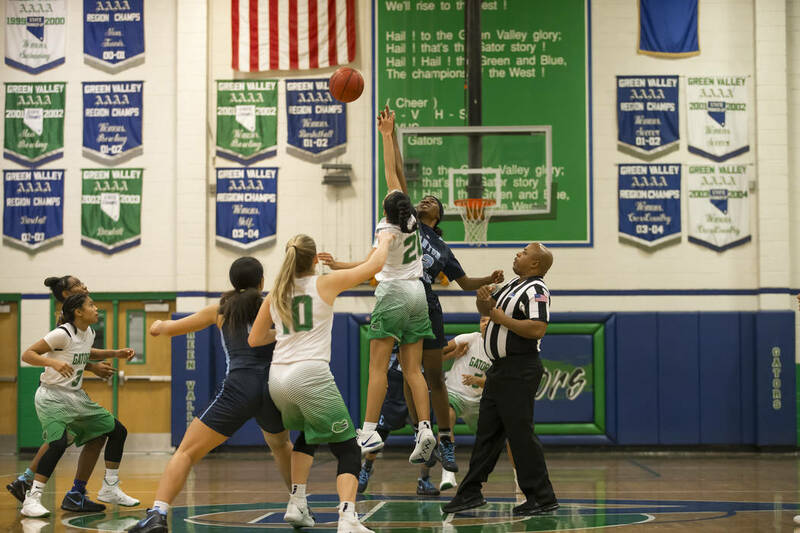 Julia Clark and Lusi Soifua scored 12 apiece to lead Green Valley (1-3).